Constructed from steel with padded rubber vulcanised on top. This ensures the hoof cradle is strong and won't bend, but the padded rubber is comfortable for the horse. 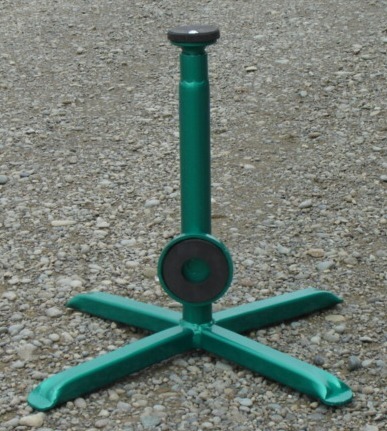 Designed to be used with our hoof stands. 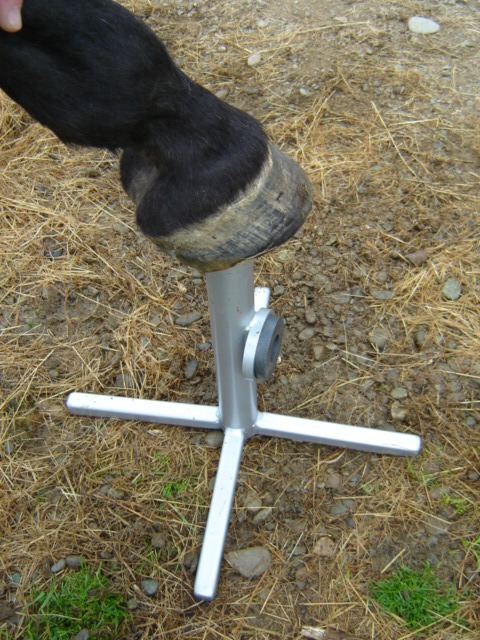 Simply unscrew the rubber top on the hoof stand and screw on the hoof stand. Can be used with both front and hind hooves - leaves both your hands free. Great for people with back problems who find holding the horse's hoof painful. "Back to basics" horse minerals that will provide your horses with the minerals they require daily in a cost effective way . Designed to be added to plain feeds such as Beet pulp (e.g. Speedi Beet), Chaff, Rice Bran. This allows you to alter the amount of feed given without compromising the daily mineral requirements. Selenium - in the form of organic selenium yeast. We can also provide mineral mixes without selenium if your horse received selenium from another source - just let us know in the comments section if you require NO selenium in your mix. Price: $60 for a 4.5kg bucket (will last 75 days for a 500kg horse) Scoop included.